Do you have a diploma in Business, Public administration, Architecture, Engineering, Transportation, Aviation, Safety Management, Air Traffic Control, or related fields? Join in UN Logistics, Transportation and Supply Chain Network (LOGNET)! LOGNET focuses on managing facilities, infrastructure, operations, and logistical support. The UN employs a large number of specialists for LOGNET in peacekeeping missions who help organize delivery of supplies and services to field locations. The UN Secretariat is committed to promoting gender equality and strongly encourages women applicants. Great opportunity to get rostered for potential selection to positions in UN operations! Women applications are highly encouraged. At least 10 years’ experience in international affairs, disarmament, demobilization, reintegration, economic recovery or related area is required. Fluency in English required, working knowledge of French is required. Knowledge of Arabic is desirable. Opportunities for women in United Nations Department of Safety and Security (UNDSS)! 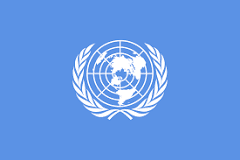 UNDSS is looking for a Chief Security Adviser (D1) in Kinshasa. At least 15 years’ experience in security, risk and disaster management is required. Fluency in English and French (both oral and written) is required. Senior UN career opportunities for female applicants! UN Habitat is hiring a Director in Regional Office for the Arab States in Cairo. 15 years’ experience in multi-disciplinary human settlements work, project delivery, raising funds, and negotiating with high-level Government in the Arab States is required. Working knowledge of Arabic is highly desirable.